Wardé by Trevi Design, a Mideast interiors brand associated with delicately woven fabrics and exclusively refined products, has launched new luxurious textiles and upholsteries. The new collection ranges from damask cottons, pleather, leather and jute to fine milled weaves that create an air of enchanting beauty and charm that is shaped by exceptional quality from more than 130 years of experience. Created and curated by Khalil Wardé in the late 1800s in the streets of Beirut’s central district, Wardé turned instantly from a newly founded brand to a hub of urban, social and commercial interaction in the textile world. It took the entire Gulf by storm with a host of trimmings, upholsteries and weaves of the topmost quality that have graced the collections of names such as Christian Lacroix’s ‘New World’ Art de Vivre, Jean Paul Gaultier, Sonia Rakjel and Perino Atripla. 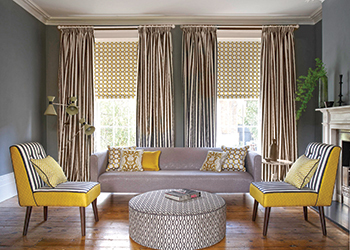 Wardé offers a wide range of fabrics, wallpapers, carpeting and trimmings as well as tapestries and upholsteries in a variety of specialised designs that are suitable for use indoors or outdoors. Wardé showrooms are located in Egypt, Saudi Arabia, the UAE, Bahrain, Qatar and Jordan. Royal Arms chair ... distinctive ambiance. Dubai-based Burgundy Designs, a home interiors specialist with expertise in European classic furniture and décor, has launched a “luxurious and dark” Victorian Gothica collection. Featuring sensuous and tantalising designs and couture cuts made of French-style filigree patterns set in velvet and oaks, the new collection is described as the crème-de-la-crème of extravagant furniture. The collection includes ottomans, chaises, tables and tabletops in dark hues, velvet textures and neo-Victorian embroidery that exemplify the gothic style. 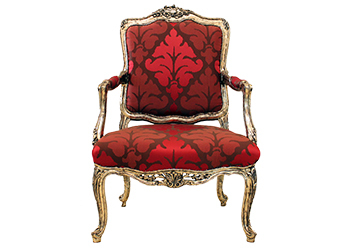 The new range also features the Regale settee and the Royal Arms chair. “A royal blue velvet upholstered affair with carved minutiae on the frame, the Regale settee is a stunning addition to any neo-Victorian setting,” he says, adding that Royal Arms, a comfortable royalty chair, is sure to offer an ideal and distinctive ambiance. Its contrasting red and beige colours and intricate work make new collection a must have for every home, he says. With designs that could be used to furnish a sophisticated urban desert ranch or a quiet lakeside chalet, a slick city apartment or a private penthouse in the clouds, Burgundy Designs is dedicated to achieving the artful integration of the urban lifestyle in a way that is in harmony with its architecture and surrounding environment, he concludes. French firm Delisle has introduced Versailles, a lantern created in collaboration with the architect, urban planner and designer Jean-Michel Wilmotte. Inspired by a lantern model created for Hopital Richaud in Versailles, built under Louis XVI, this fixture has been reinvented by adding contemporary lines to its classic influences and proportions. 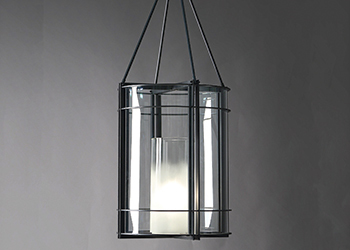 The design of this timeless and elegant lantern is based on a set of very precise ironwork structures supporting a sandblasted curved glass in order to highlight its delicate curves. “This graceful harmony of apparent simplicity results from the exceptional know-how of the maison Delisle, whose reputation has been built on its refined creations and the high manufacturing quality,” says a spokesman for the company. Last year, Delisle marked 120 years of its creation by collaborating with designer Nicolas Aubagnac to create the ‘Grands Siècles’ collection. The collection also honours talented generations of craftsmen who have successfully supported Delisle in the design of ambitious projects, the spokesman says. Founded in 1895, Delisle crafts high-end bronze and iron light fixtures and decorative furnishings. It has a collection of more than 2,000 period models and 10,000 drawings and watercolours from the 16th century up to the art deco period, and also designs objects d’art for museums.